As a manager, supervisor, and leader, you want to treat your team fairly. But just exactly what does “fair” mean? When we’re little, we tend to interpret “fair” as “equivalent” (even though “equivalent” probably isn’t in our vocabulary!). 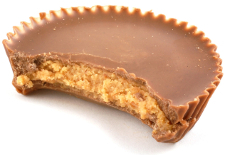 If Johnny gets a peanut-butter cup, then we should get one too. But as we grow up, we learn that maybe this isn’t what we really want, or what’s really “fair.” Johnny might love those peanut-butter cups, but if we’re allergic to peanuts, “fair” starts to look a little different. Welcome to yet another leadership gray area. The people on your team are individuals. What works in managing one of them may not – probably won’t – work for all of them. What motivates one person can actually demotivate someone else. One person’s corrective feedback is another person’s condemnation of stupidity. (No, I’m not exaggerating; I have a client with exactly these types of people on her team.) Offering straightforward, no-frills corrective feedback to the self-assured individual is great. That feedback delivered in the same tone to a perfectionist who hates making mistakes can crush their initiative and motivation; they’ll only become even more anxious about mistakes. Public accolades for work well done delivered to a life-of-the-party team member is rewarding for them in multiple ways. The same public recognition offered to a more reserved individual can be overwhelming and even embarrassing. What this means is that how we offer feedback and recognition should vary based on our understanding of each person. Tuning our delivery to the individual is as important as the message itself. I’m not suggesting that anyone should be coddled or protected from themselves – far from it. As leaders, we’re responsible for helping our teams learn and grow. But when we tune our feedback, recognition, and even work assignments to what we understand about each individual, we’ll reap the rewards of better results, higher productivity, and fully-engaged employees. The perfectionist will learn (instead of closing down) when you deliver feedback in a way that makes it clear you’re talking about process improvements, not about their mistakes. The outgoing individual will appreciate the recognition from the team as well as from you, while the more-reserved teammate will be grateful for your heartfelt private “Thank you for doing this thing so well.” And although we want to encourage everyone on our teams to be collaborative and engaged with their colleagues, allowing people to do the types of work they do best is one way to be sure everyone is doing their best work. I think responsiveness to individual preferences and needs is the very definition of fairness.